Jetter's Plumbing offers a full line of high quality plumbing and specialty products for consumers and contractors. We sell and service A.O. 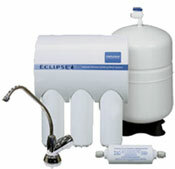 Smith brand water heaters, Water-Right water softeners and R.O. (Reverse Osmosis) systems. 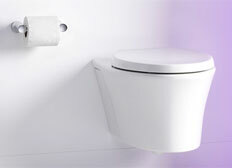 Our faucet, sink, and toilet lines include Moen and Kohler. A. O. Smith’s selection of residential and commercial water heaters, boilers and storage tanks is unmatched for quality and diversity. Anywhere hot water is needed, A. O. Smith can provide an energy-efficient solution with maximum value during and for years after installation. And, A. O. Smith stands behind its products and its customers with world-class service, combining cutting-edge technology with committed people who take pride in being the very best. Whether your water comes from a private well or a municipal supply, Water-Right treatment systems can make it better. Water-Right is a family-owned and operated business and has been making "the right water for life" since 1963. Water-Right is one of the most trusted names in water treatment, and their solid reputation for solving the most complex and challenging water problems in residential, commercial and industrial environments is unprecedented. Reverse Osmosis (R.O.) is a common treatment technology that produces high quality water. The process works by forcing water under great pressure against a semipermeable membrane, where ion exclusion occurs. With ion exclusion, water molecules form a barrier that allows other water molecules to pass through while excluding most contaminants. Reverse Osmosis systems are effectively used to reduce contaminents in your water such as: Lead, Copper, Arsenic, Barium, Selenium, Cadmium, Fluoride, Radium and more.